I still haven’t caught my groove yet in 2019, but I’m working on it daily. While 2018 wasn’t a huge hit, it wasn’t bad either. I can do better. So, I thought I would start off the year fresh and not filtered. The ten year challenge had been buzzing around Facebook when the month started (also the 1st profile pic comparison to today’s pic) and friends and I joked about how it should have been called the “before filters” challenge. While I love a good filter to correct lighting, improve color, or hide a blemish I’m against ones that completely distort your face so you don’t even look like yourself. There is too much comparison in this world of social media. We carefully curate the image that we want people to see. 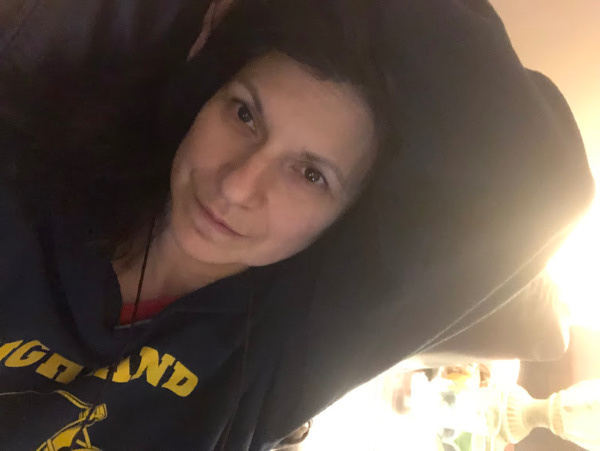 So, I snapped a few pics of myself on the couch and this is what I got and I thought to myself, “Hey, not too bad for a 47 year-old mom of two with no make-up on just about ready for bed.” This picture sparked an entire inner dialogue with myself and the end result is that I like myself. I also love fashion, make-up, and getting all dolled up, but this is me too. Unfiltered and fine with it. So, here is what I have for you….